Home android smartphone Technology What are the most used Android versions? 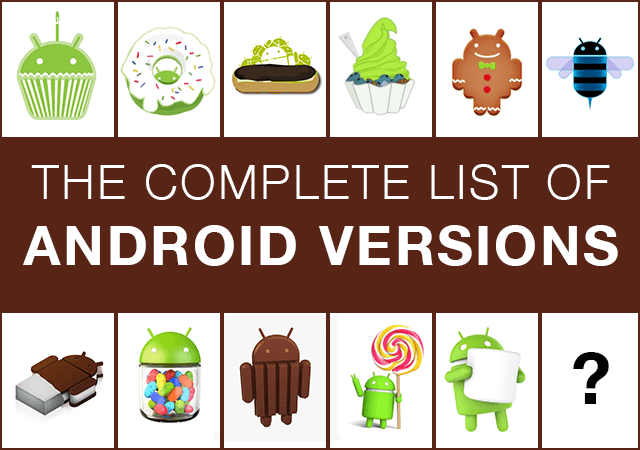 What are the most used Android versions? Every month, Google publishes new statistics that account for the distribution of different versions of its operating system of Android. Which versions of Android are most used? To find out, it is in the direction of Google's board that we must turn. Indeed, this one reveals the great balances between the main branches of the mobile operating system, based on the connections to the Play Store in the last days. Updated on October 2, the table shows several variations in the distribution of the different versions of the operating system, with in particular the arrival of the new branch of Android, called Oreo . As always, the beginnings are modest with a market share of 0.2% - nothing very surprising, builders barely open this new major version. Concerning Nougat (version 7.x of the operating system), the rise continues in September with a market share reaching the 16% mark. The two declines (7.0 and 7.1) increased each month, the first by 1.6 points, the second by 0.4 points. For its part, Lollipop is still losing ground, with a presence on just over a quarter of the terminals (27.7%): both versions are in decline, 5.0 7.1 to 6.7%, 5.1 , from 21.7 to 21%. This alone is on just over one-fifth of the smartphones detected on Google Play. On the Marshmallow side , it fluctuates: after a decline at the beginning of the year, where its relative market share slowly but surely receded, the branch has rebounded since this summer, before experiencing again a phase of decline. In September, the market share increased from 32.2% to 32%. It is not the downfall, but it is eroding. For KitKat , however, there is a sharp fall. This branch will soon appear on only one phone out of ten (14.5%), lost 0.6 point on September. On Jelly Bean's side , the decline also continued for its three versions (4.1.x, 4.2.x and 4.3) rose to 6.6% in early October versus 6.9% in September. It is the fifth branch of Android most widespread among the general public. As for the other mills of the operating system, they content themselves with a few crumbs: Gingerbread is at 0.6%. For its part, Ice Cream Sandwich is slightly lower, with a market share 0.6%. These two versions did not change in September. The data provided by Google does not give an absolutely complete picture of the distribution of Android versions in the world, as the US company only counts systems that have been detected on the Play Store in the past 7 days. Also excluded are those versions whose market share is considered to be totally insignificant, that is to say where it is less than 0,1%.
" These statistics are collected from the new Play Store app, which works with Android 2.2 and up, so devices running older versions are not included. That said, in August 2013, versions older than Android 2.2 accounted for about 1% of devices that pointed to Google's servers , "writes the US company. 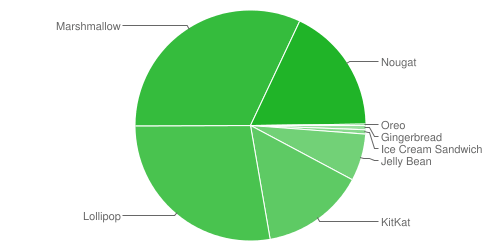 But even if Google chose to exclude certain data with a statistically insignificant weight, and to only count the devices appearing on Google Play (which is essential for the updating of certain applications), this information nevertheless gives a fairly good indication of the distribution of market shares of the main versions of Android.